I was inspired by Katie the Scrapbook Lady to start my own monthly roundup about our family, but with customized questions. Here's my first one! 1. What fun things did we do this month? Logan and I started a weekend tradition of visiting Starbucks. Sounds silly, I know. But we make a big deal out of it - it is just the two of us (Logan calls Daddy a Starbucks Hater!) and we go inside. He gets a "sparkly doughnut" and chocolate milk and I get my coffee of choice. Then we sit down and talk while we enjoy our treats. It's been a lot of fun! If we make it on Saturday we usually combine it with a trip to the library to get some new books for the little guy. Trung tried snowboarding for the first time! He went with friends on Cesar Chavez Day (yes, that's a city holiday!). He seemed to enjoy it and thought he'd give it a try again next season. 2. Where did we go this month? 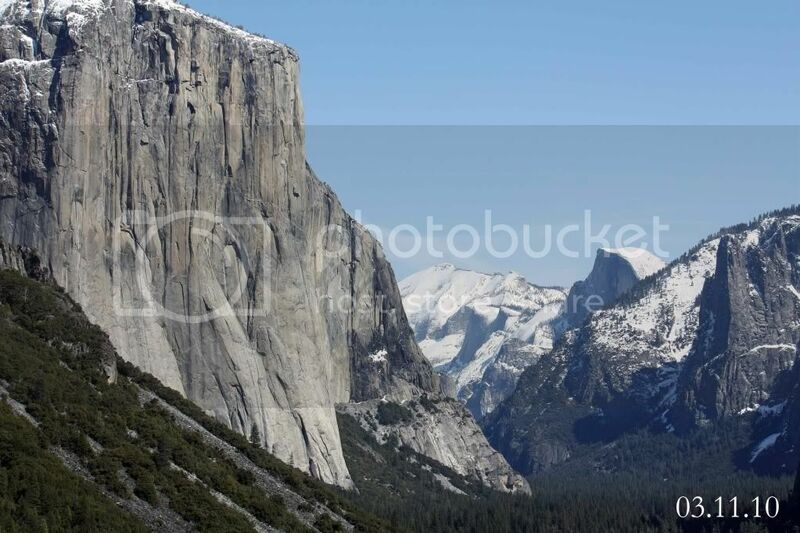 There was more travel for me for work - I went to Yosemite for the first time! What an incredible place. I messed around a lot with my camera and telephoto lens there. 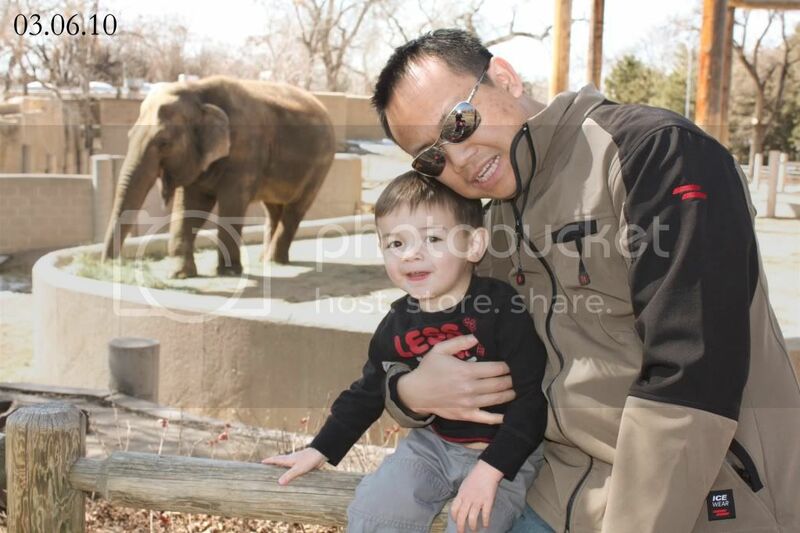 We also took advantage of some spring weather (and our membership) and headed to the zoo! 4. What special celebrations happened this month? March is our friend Lela's birthday, so we had lunch to celebrate at our favorite Vietnamese place, New Saigon (I always get 2N - total heaven in a bowl). As part of her birthday gift I made her a scarf, which I'll post more on later. Trung and I also celebrated our 14th year together. Or acknowledged it at least! There wasn't much time for celebrating! 5. What fun projects was I working on this month? Not as many as I'd like this month. I've been continuing my Library of Memories class as time has allowed me. This has been primarily an organizational effort - not a lot of time to scrapbook these days. I've also done a tiny bit of work on Logan's new quilt. 6. What other special memories do we have from this month? 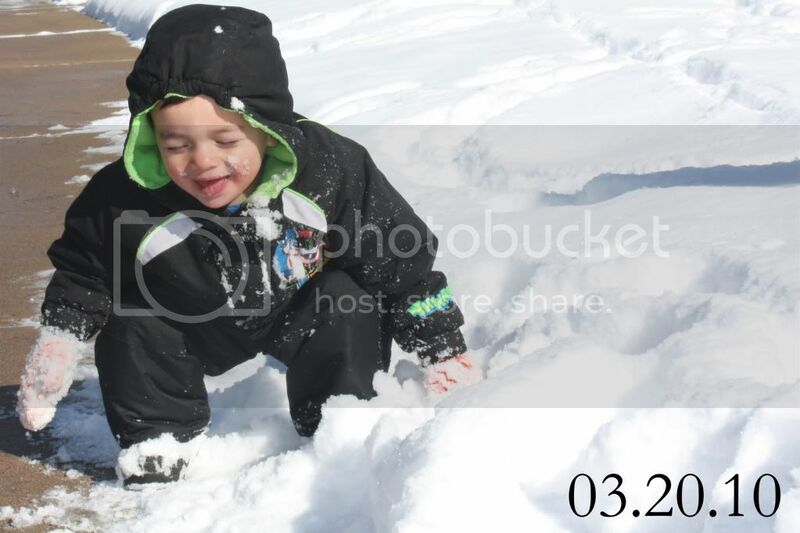 We had a couple big snowstorms this month and had fun playing in the snow together! Send in my quilt to be quilted!